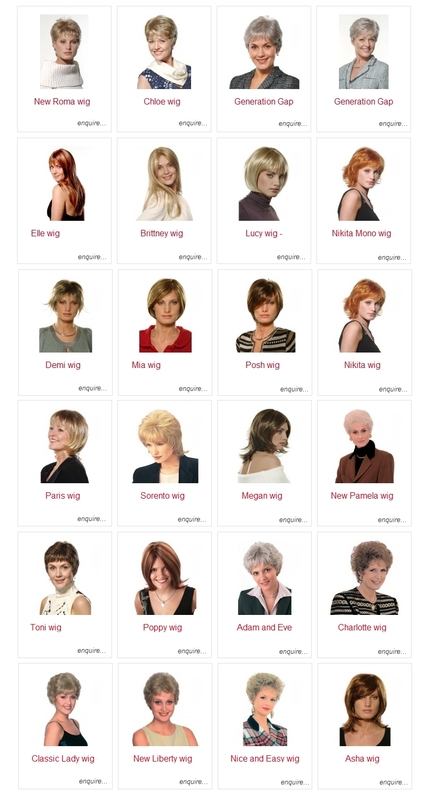 We have over 25 years experience providing ladies wigs for all types of hair loss - if you are experiencing hair loss due to medical reasons or are looking for a ladies wig to have a different style - we can meet your requirements. With clients from all areas of the UK we can provide the complete in house personal service - fitting, cutting and styling to ensure each wig looks natural and suits you. We also cut and style wisg that are not provided by us. If you wish to ensure your wig looks natural and suits you then you ideally need to get it fitted, cut and styled by a professional salon. We offer this complete service where we ensure each wig is fitted correctly and is cut and styled to suit you. The following photos show the process involved which is essential in order to achieve the best look possible. We also offer a cutting & styling service for wigs and systems not provided and brought from ourselves. Due to our 25 years in the business we are able to offer the wigs at very competitive prices - please contact us prior to purchasing. If you are an experienced wearer or are unable to come to our salon then we can provide a 'supply only'. We are happy to discuss your needs via email or over the telephone to help you find a wig that suits you - we'll then post this to you free of charge. To book your FREE consultation please call 0845 519 0492 (or local 01902 246004) or contact us here. We can fit, cut and style or post out direct - get in touch today.